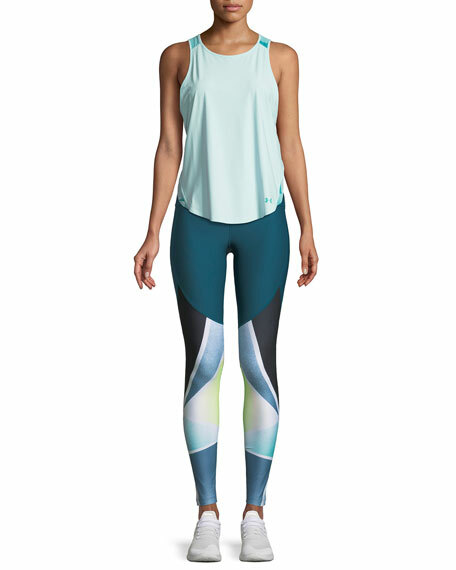 Under Armour "Balance" printed leggings in silky performance fabric. Moisture-wicking, quick drying, and four-way stretch capabilities. 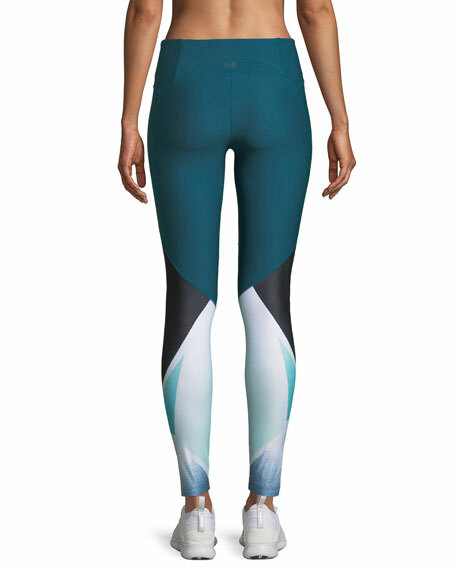 Advanced seam placement eliminates pressure points & chafing. 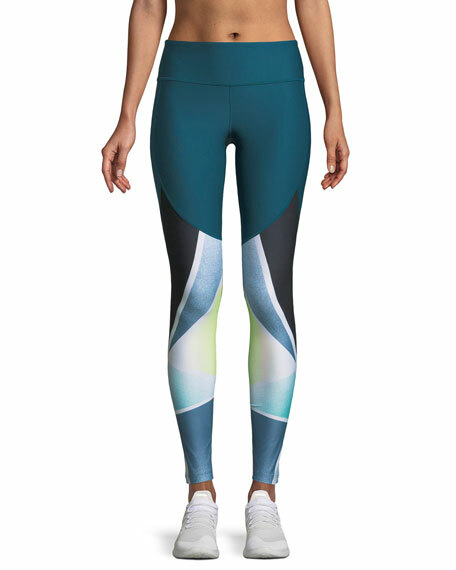 Founded in 1996 by former University of Maryland football player Kevin Plank, Under Armour is the originator of performance apparel - gear engineered to keep athletes cool, dry and light throughout the course of a game, practice or workout. The technology behind Under Armour's diverse product assortment for men, women and youth is complex, but the program for reaping the benefits is simple: wear HeatGear when it's hot, ColdGear when it's cold, and AllSeasonGear between the extremes. For in-store inquiries, use sku #2561517. 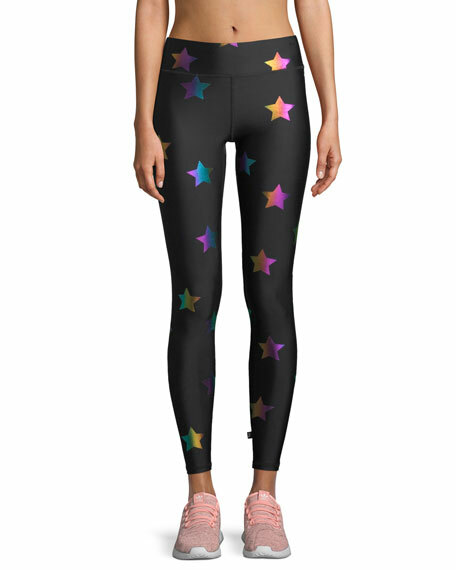 Terez leggings in performance fabric with star foil prints. Moisture wicking, breathable fabric. Approx. 27" inseam. Tall 3" waistband. Second-skin fit. Pull-on style. Ankle length. Polyester/spandex. Made in USA. 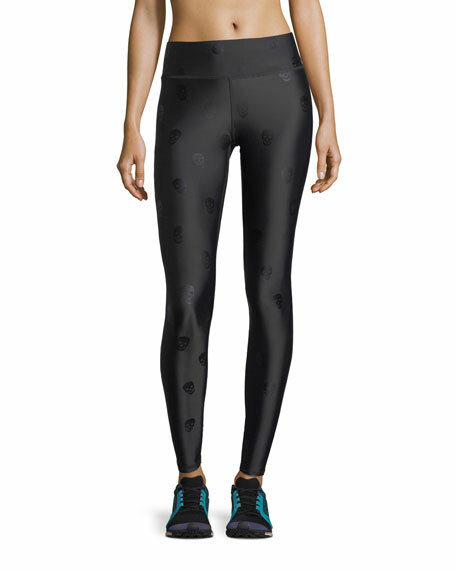 Terez leggings in high-performance fabric with skull-foil prints. Moisture wicking, breathable fabric doesn't stretch out. Approx. 27" inseam. Tall, 3-inch waistband. Second-skin fit. Pull-on style. Full-length. Polyester/spandex. Machine wash. Made in USA. 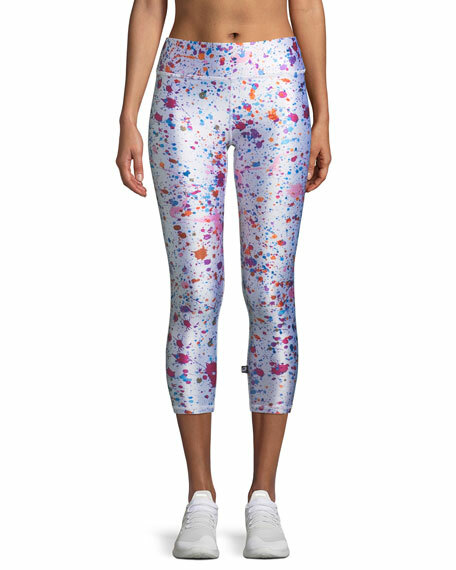 Terez leggings in moisture-wicking performance fabric with splatter-paint print. Approx. 21.5" inseam. Tall band sits at natural waist. Second-skin fit. Pull-on style. Cropped at mid-calves. Polyester/spandex. Made in USA.